1. Started a full-time job. 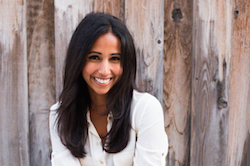 After 2.5 years of freelancing, I’ve re-joined the 9-5 crew with a job as a staff writer at San Diego Magazine. 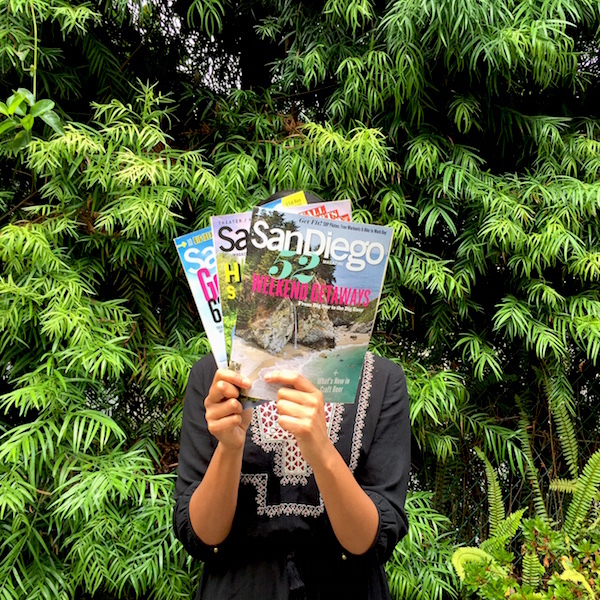 I’ve been working very closely with the magazine since moving to San Diego in 2013, from freelancing to filling in for editors on maternity leave, so the transition has been pretty seamless. (I even have my very own office!) I’m excited to be working alongside people who geek out over magazines as much as I do and writing about my city. I said for a long time that my ideal job would be working for a city magazine because of the variety it lends, so I’m thankful to have the right position pop up at the right time. But just so you know, I’ll still be blogging and freelancing. The balance has been tough, but discipline, such as making Sundays a work day, is key. Each of these jobs is important to me, and I don’t want to let any of them go. 2. Kayaking. A week before starting my job, I took a week off to staycation in San Diego, which included stand-up paddleboarding in Mission Bay (not my first time SUPing, but my first time in San Diego), staying at the Rancho Bernardo Inn, doing less glamorous stuff like handing off long overdue dry cleaning and tailoring, and kayaking with Teddy in Mission Bay. 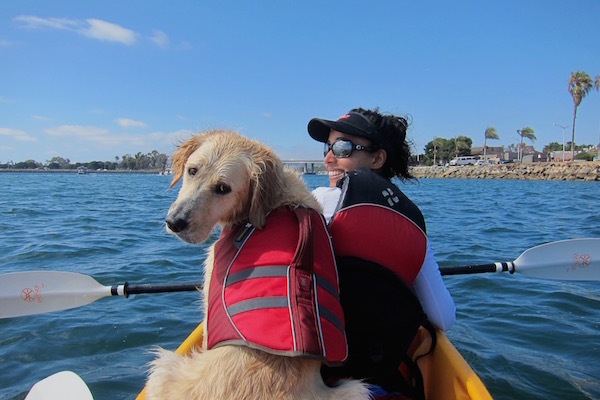 We went with the same outfitter, Aqua Adventures, as we used last year, and the experience was just as sweet, thanks in large part to the guy at the front desk who gave us a tennis ball to throw for Teddy from the kayak. Maybe it sounds weird to non-pet owners, but the hardest part about transitioning to a 9-5 job has been being away from Teddy all day. Since we brought him home two years ago, he’s been by my side while I work, and now it’s strange to see him only weekday mornings and nights. So this staycation week was all about doing fun things with him. I love that little big guy. 3. Weekend getaway to Tri-Valley. 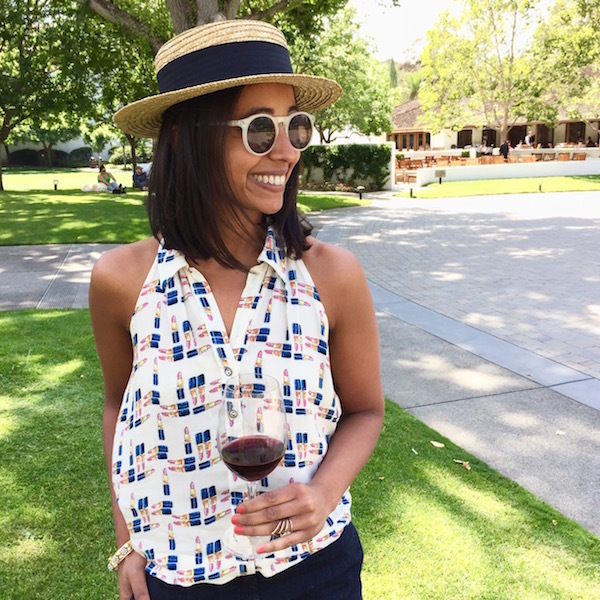 Along with my friend Cindy, I visited this quaint wine region east of San Francisco. Read all about it here. 4. Pearl Hotel’s Dive-in Theatre. 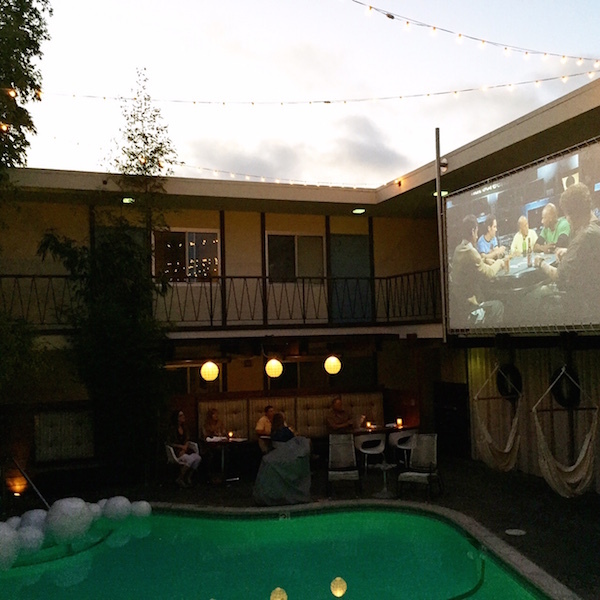 I finally got to check out the retro hotel’s weekly movie event with a screening of 40-Year-Old Virgin. Every Wednesday they play a movie on a poolside screen, and people (not just hotel guests) can watch from the bar and pool area. You can reserve seats—you’ll be expected to order food and/or drinks—or try for first-come, first-serve seating (no food/drink orders necessary). I spent plenty of years in Chicago and New York waiting in line for events, so I’m pretty much over that, and I was so happy to have a guaranteed seat. Next week, a group of my friends and I have seats for a screening of Bridesmaids. Oh, that’ll be a good one. 5. A peaceful morning to me, myself, and I. My friend’s boyfriend spends most Sunday mornings alone, at a cafe, reading a book or the paper. I thought to myself, man, doesn’t that sound just lovely? Then I realized, why don’t I just make it happen for myself? 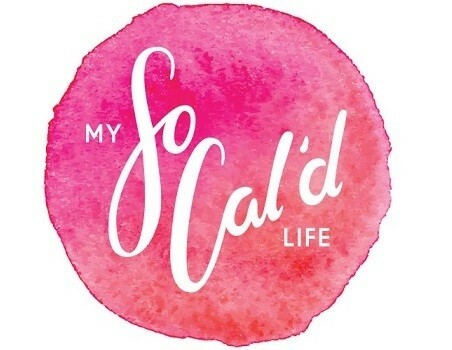 I schedule so many other things in my life—work, work events, exercise, friend dates, etc.—why don’t I schedule alone time, too? This particular morning was spent at Cafe Madeleine in South Park with my stack of neglected magazines. I’ve been recreating this experience at home the last few Saturdays, and it’s been a great way to recharge. I highly recommend it. 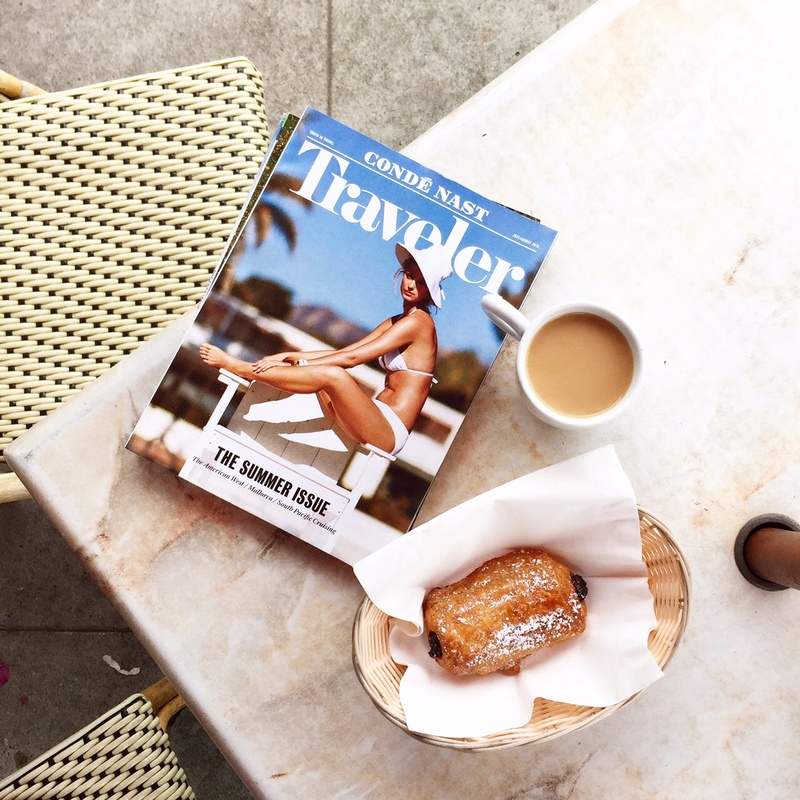 Also, oh the irony of my croissant with that skinny model on the cover of Conde Nast Traveler. Whatever, I thoroughly enjoyed my pastry.